The 21st Annual Price Chopper/Market 32 Capital Holiday Lights in the Park drive through runs from November 23rd 2018-January 2nd, 2019. 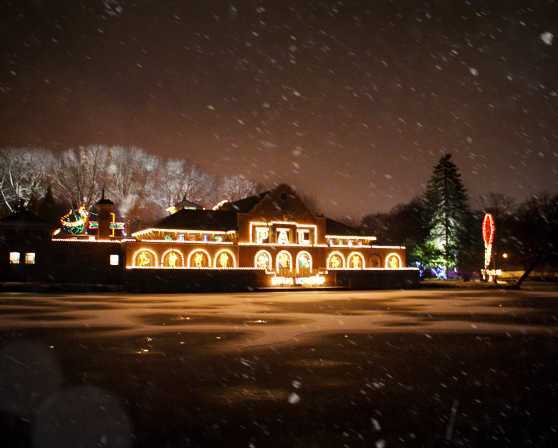 Presented by Mayor Kathy Sheehan, the people of the City of Albany and Albany PAL, this year’s show depicts holiday scenes of yesteryear and many exciting lighting displays. The best part of the Annual Price Chopper/Market 32 Capital Holiday Lights in the Park is that all proceeds benefit the juvenile crime prevention programs of the Albany Police Athletic League (PAL)!